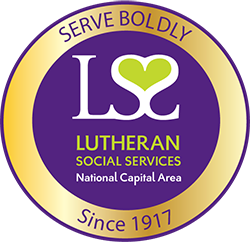 "I am truly honored and delighted to be joining the LSS/NCA Board. As the daughter of an LCMS pastor and missionary to Papua New Guinea, where I was born and raised, and the sister of an ELCA pastor -- who also served in the Papua New Guinea mission field and is currently the Senior Pastor at Messiah Lutheran Church in Cleveland -- I am committed to doing all I can to support and advance the vital mission and programs that LSS provides to so many individuals, families and communities." 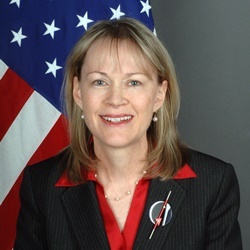 Ms. Warlick served as a Senior Foreign Service Officer with the Department of State for over 30 years with assignments abroad in the Philippines, Bangladesh, Germany, Russia, Serbia and Australia. She served in leadership positions as U.S. Ambassador to Serbia, U.S. Consul General in Melbourne, Acting Special Envoy and Coordinator for International Energy Affairs, Senior Director for Russia on the National Security Council, and Deputy Assistant Secretary of Defense for Europe and NATO Policy. Ms. Warlick received a B.A. in Political Science and Humanities from Valparaiso University and an M.A. in Law and Diplomacy from the Fletcher School of Law and Diplomacy at Tufts University. She and her husband, Jim Warlick, also a former Foreign Service Officer, have three adult children.